The toys are back in town! 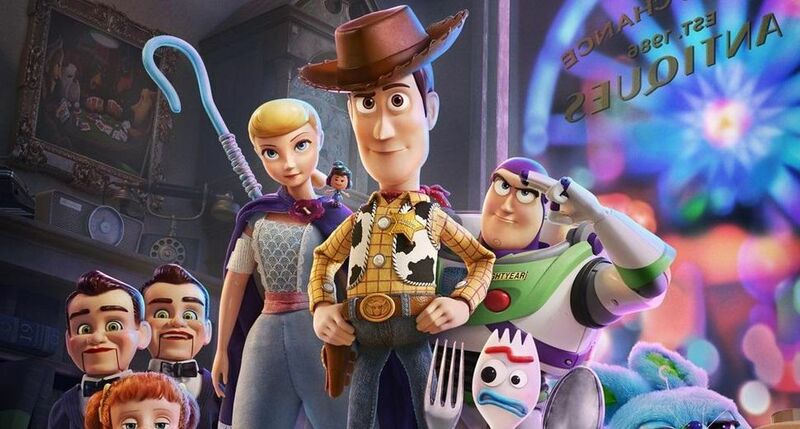 All of your favorite play mates are back for another adventure in the Disney/Pixar film Toy Story 4. The film continues from Toy Story 3, where Sheriff Woody (Tom Hanks) and Buzz Lightyear (Tim Allen), among their other toy friends, have found new appreciation after being given by Andy Davis to Bonnie Anderson. They are introduced to Forky (Tony Hale), a spork that has been made into a toy, and they soon embark on a road trip adventure alongside old and new friends. In addition to Hanks and Allen, the film will feature returning cast members, including Annie Potts reprising her role as Bo Peep. New additions include Tony Hale, Keegan-Michael Key, Jordan Peele, Keanu Reeves, Christina Hendricks, and Ally Maki. Playtime begins when Toy Story 4 hits theaters June 21.